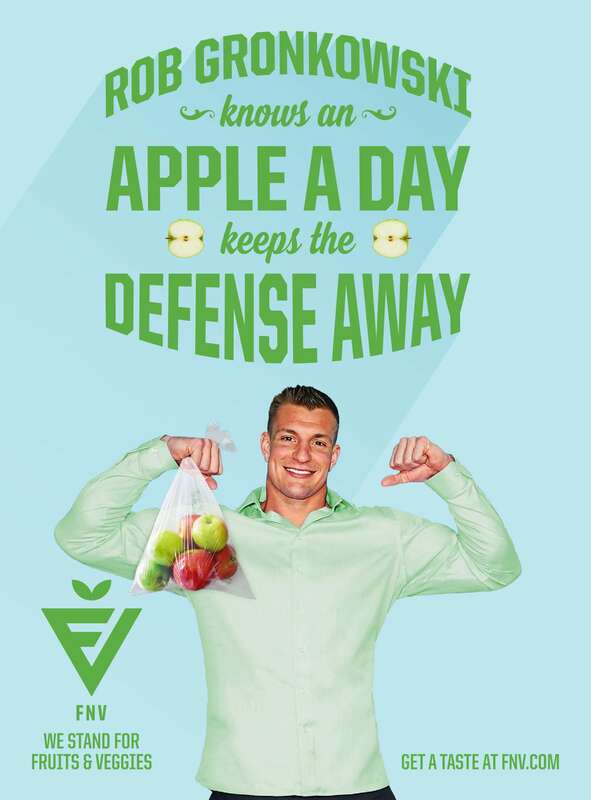 AKWESASNE— Local businesses and organizations are teaming up with some of the biggest names in sports and entertainment to boost the visibility of fruits and vegetables in our stores and communities. 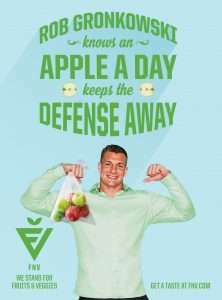 The FNV (fruits and vegetables) campaign, created by the Partnership for a Healthier America and presented locally by the North Country Healthy Heart Network, aims to encourage people to eat more fruits and vegetables through clever, fun marketing that leverages the popularity of athletes and entertainers like Rob Gronkowski, Steph Curry, Jessica Alba, and many more. Local FNV partners include Saint Regis Mohawk Elementary School and Saint Regis Mohawk Health Services, and Bear’s Den, Akwesasne Mini Mart, Speedway, and Twinleaf convenience stores. Partners kicked off the FNV campaign by surveying customers at convenience stores in the Hogansburg area; St. Regis Mohawk Elementary School and Saint Regis Mohawk Health Services also provided surveys. When the campaign is finished, additional research will be completed to determine if consumption and or shopping patterns changed as a result. To learn more about FNV and PHA, visit www.fnv.com and www.ahealthieramerica.org. Based in Saranac Lake, the Heart Network works with local partners across the North Country to build foundations for healthy communities. FNV is part of a larger effort by the Heart Network to reduce obesity in the North Country. With funding from the New York State Department of Health’s Creating Healthy Schools and Communities program, the Heart Network partners with schools, businesses, convenience stores, and communities to implement strategies that make eating well and getting physical activity easier for residents of northern Franklin County. The Heart Network’s Creating Healthy Schools and Communities program joins with the new North Country Chronic Disease Prevention Coalition and continued efforts to help people quit smoking to promote healthy communities across the region. To learn more about the North Country Healthy Heart Network, visit www.heartnetwork.org or call (518) 891-5855.